In the lab, we often have discussions about prioritizing experiments and I usually have a strong opinion about these things. I was starting to realize that being able to set these priorities, feel confident in your decisions and fluidly change course as data and circumstances shift is a learned skill. 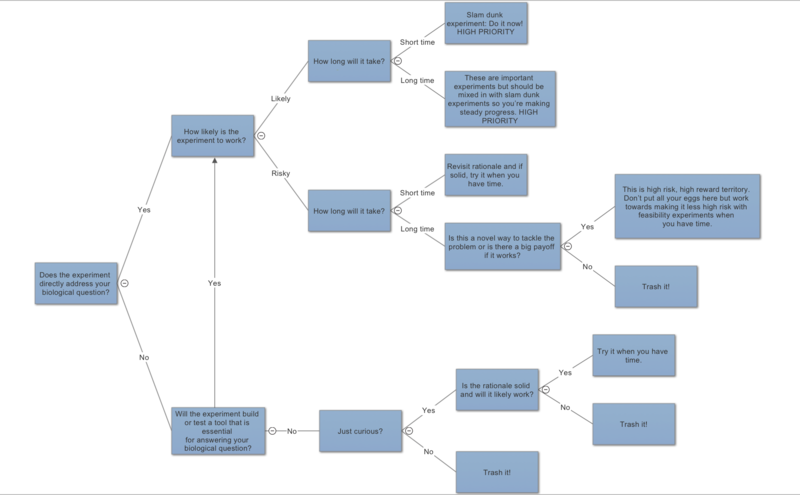 In an attempt to somewhat formalize some of the considerations that might come up when prioritizing experiments, I came up with the below decision tree to share with the lab. It’s a work in progress and I think the tree very likely looks a bit different depending on your career stage. Missing from the tree is also a bee line for emergency experiments needed for paper revisions, grant applications etc., but those decisions are rarely ambiguous so I omitted them here. I’m not even sure I make decisions this way, but it seemed like a fair place to start for those trying to juggle experiments early in their career. I hope others find it useful and, as always, please contact me on twitter or via email if you have comments or suggestions! 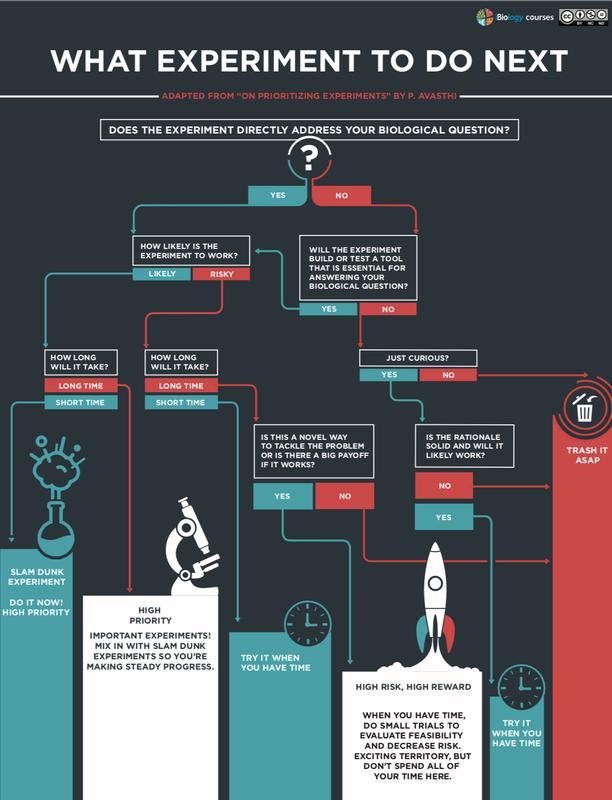 Update: The amazing folks at iBiology have made this flowchart so much more beautiful so it can be used for our new course. There’s one with a dark background and one with a light background for printing. It’s under a CC-BY-NC-ND license. Feel free to use and share!